I have this in purple and it is TERRIBLE! It smudges and you can barely even see it when you put it on. Very bad pigmentation. I use the white Kohl Kajal daily on my bottom waterline and top lids to make my tired eyes look brighter and have more definition. This by far has to be one of my favourite kohl eyeliners because it's dirt cheap and goes on incredibly soft and smooth, never tugging at the eyes. Great quality for a common drugstore brand. 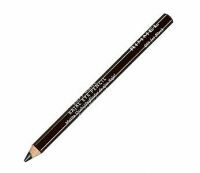 the white in this pencil is the perfect white kohl, it goes on opaque and rich and so smoothly and easily, and you can blend it for miles. and its super affordable, and widly available.